The Form Grow program is a form generation system written in the geometric programming language ESME. 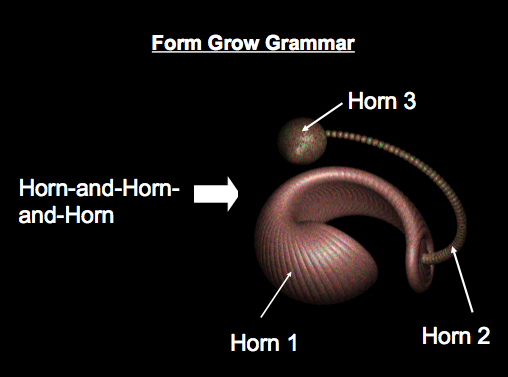 These images demonstrate the grammar of the Form Grow program. The program generates lifelike forms using geometric rules and can produce horns, pumpkins, shells, mathematical shapes and many other shapes as yet unseen.